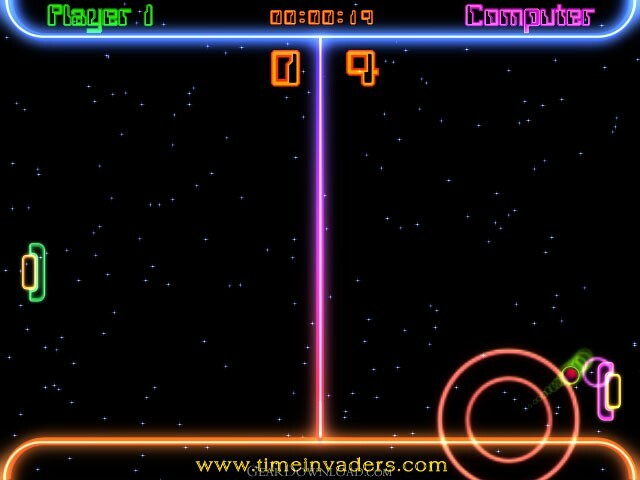 Remake of the classic Pong Arcade Game with amazing graphics and powerfull sounds. A new colorfull and addictive experience. Pong is a first generation video game released originally as a coin-operated arcade game by Atari Inc. on November 29, 1972. Pong is based on the sport of table tennis (or "ping pong"), and named after the sound generated by the circuitry when the ball is hit. This download (spacepingpongfree.exe) was tested thoroughly and was found 100% clean. Click "Report Spyware" link on the top if you found this software contains any form of malware, including but not limited to: spyware, viruses, trojans and backdoors. Attack of Mutant Fruits from Outer Space 1 - Old school shooter game. Discover the Mutant Fruits. 3D Pacman 1.5 - Ever wondered what good old PacMan would be like in the new Millennium? Look!